The trend towards LED lighting systems is becoming more prominent in our streets and shopping centres however the trend for intelligent lighting solutions is far greater than you may be aware of. Dali used to only be used to highlight the artistic style of the fashionable painter with an excellent moustache however it is now becoming synonymous with the lighting industry. Dali stands for digital addressable lighting interface and enables communication between the user, you and me, and the lighting products within the home or work place from a single control interface. The use of controlled lighting in our lives has almost become expected as lights turn on when entering or leaving a room or as you drive into a car park and the area is illuminated to guide you to an available parking space. The shopping malls of today now contain mood lighting in the main areas, LED illuminated exit and safety signs and interactive advertising boards are all now commonplace. 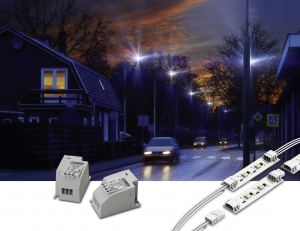 The range of products available to meet the needs of LED lighting systems vary massively from low profile fine pitch printed circuit board (PCB) connectors to higher power and potentially high ingress protection (IP) rated connection systems to complete finished CBL lighting control cabinets. DIN EN 61535- Installation Couplers intended for permanent connection in fixed installations. We can tailor products and services to support your design, common requests include different connector colour variants, bespoke cable assemblies, customised printing and special punching, coding and pin lengths. Just ask and we’ll work hard to complete your design vision. 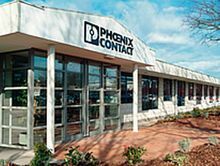 At Phoenix Contact we have product solutions available to meet all of your design needs and will happily discuss your application with you to ensure your new design meets all of your requirements.